Sleek and well-designed, our Better Together Laptop Pouch is the ultimate way of taking care of your laptop and other digital accessories! This pouch features a splash-proof exterior so that you can protect your digital essentials from liquid damage. With plenty of pockets on the inside, you can organizer your charger, mobile phone, mouse and other accessories! It’s just perfect for students or working adults! Dimensions: 34cm (L) x 24.5cm (B) – Fits up to a 13″ Macbook or Macbook Pro perfectly. Get a matching Better Together Daily Organizer! 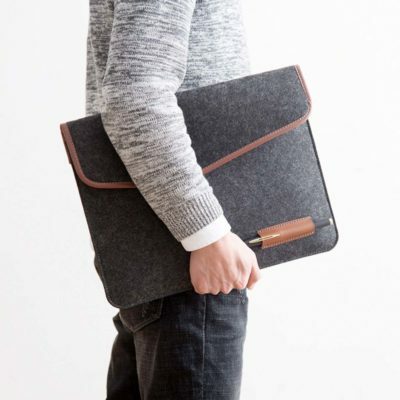 The MODERN Sleeve is the best companion for your laptop. Coming in a timeless design, it adds style to your daily outfit in school and in the office. With soft padding on the inside, you can rest assure that your computer is well-protected. Moreover, it comes with multiple compartments for wallets, phones, chargers and everything else! This is indeed the ultimate laptop carrier. Featuring a timeless retro design, The Classic Laptop Sleeves protects your notebook in impeccable style. Besides just carrying your laptop, it also organizes your daily essentials such as tablets, notepads, power banks, stationery and more! 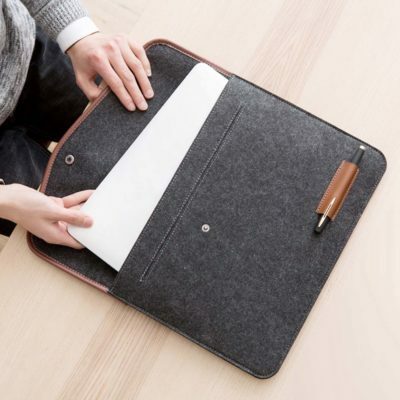 Perfect for students and office-goers alike, it’s simple to keep your laptop protected!